The Blake Collection represents the winders and accessories intended for today’s dapper gentleman. 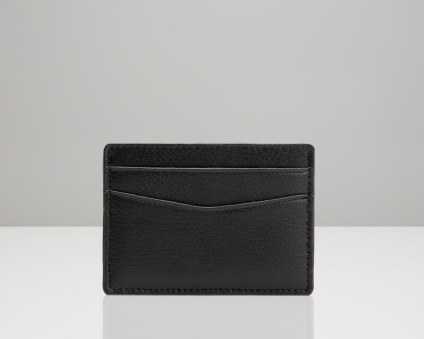 Traditional with a contemporary flair, Blake makes a bold statement whilst protecting the manly things in life. 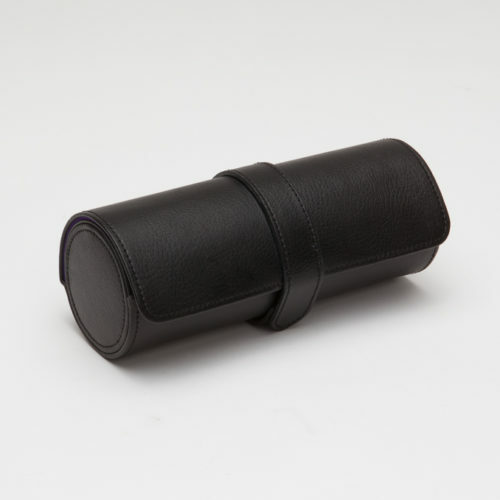 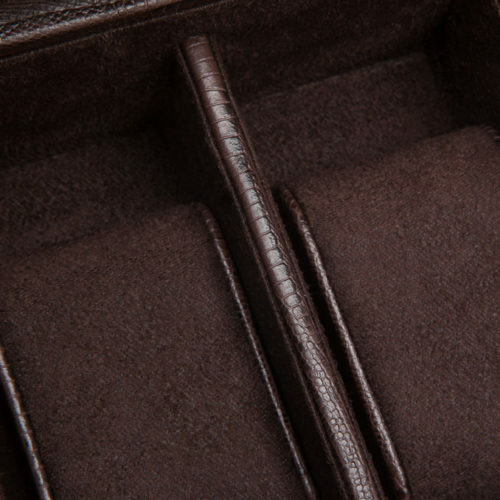 Beautifully crafted in either Teju lizard or pebble grain leather exterior, enjoy this stylish collection at home or on the go as it includes a valet, shoe shine kit, watch box, iPad case and more. 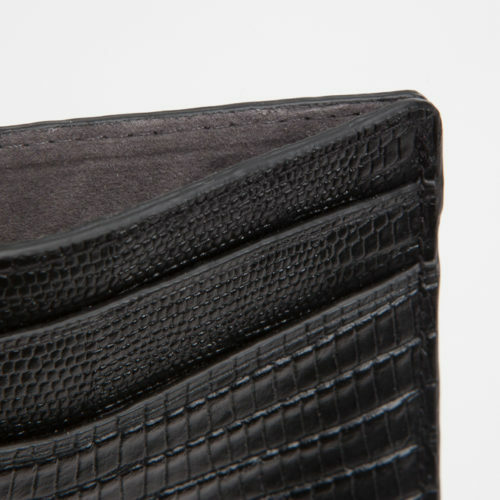 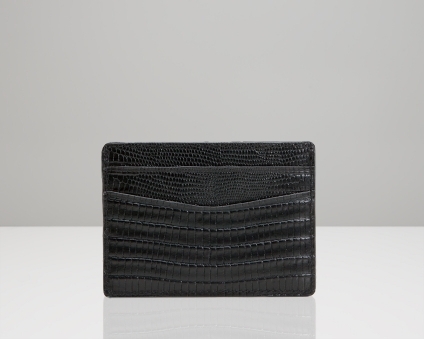 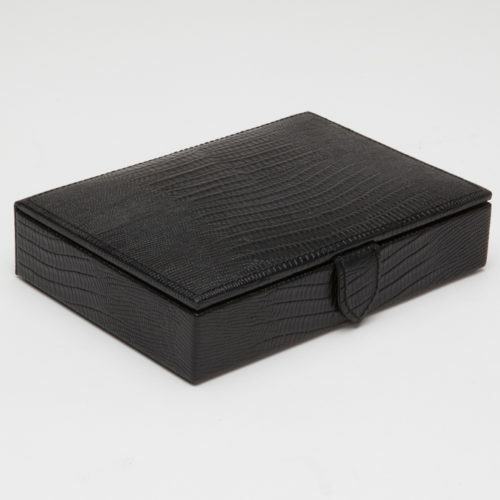 The Blake card wallet, in black Teju lizard embossed leather, incorporates a classic gentleman’s necessity with a bit of flair. 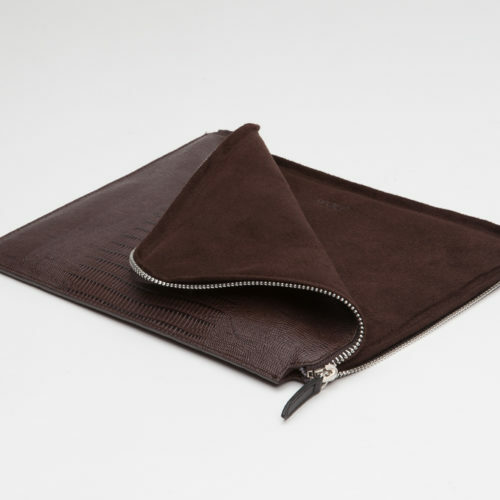 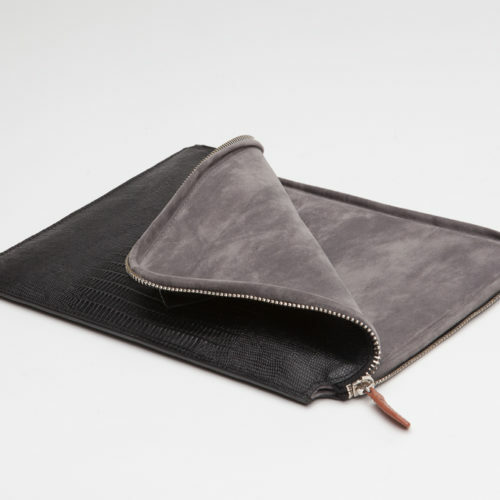 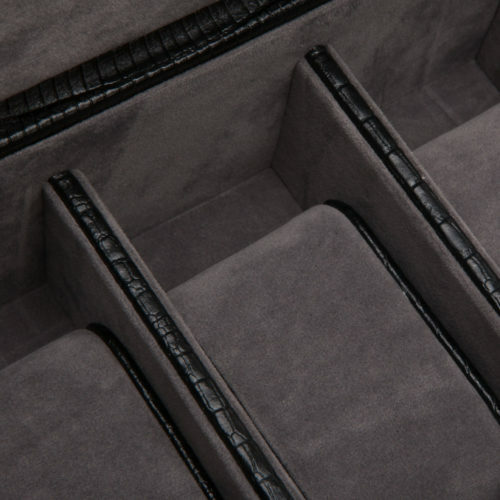 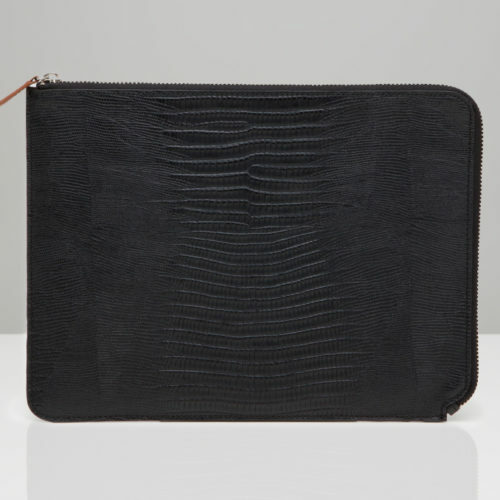 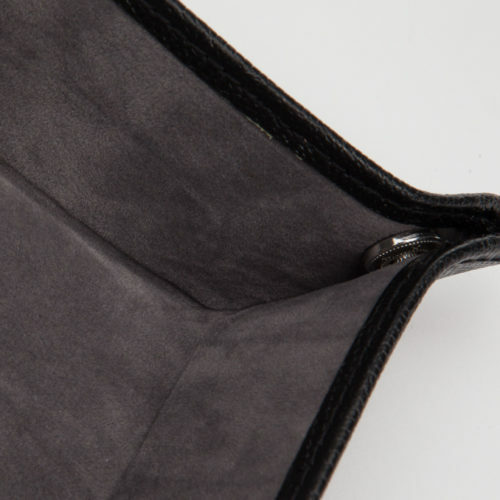 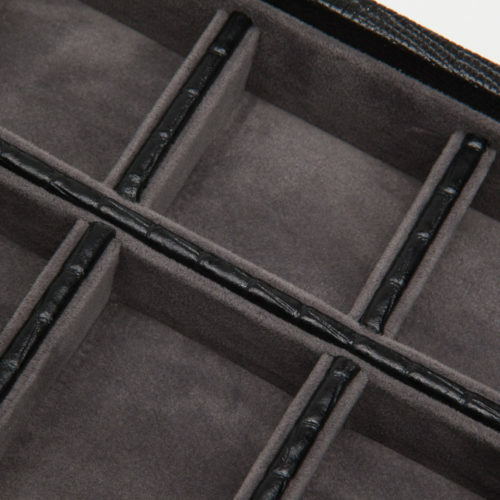 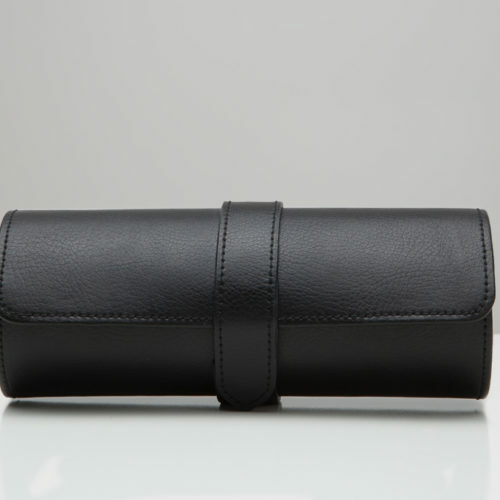 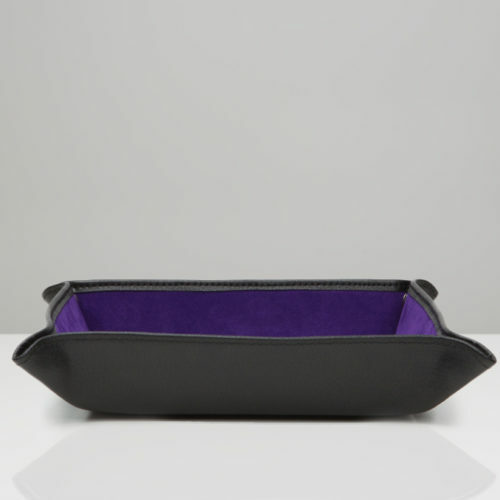 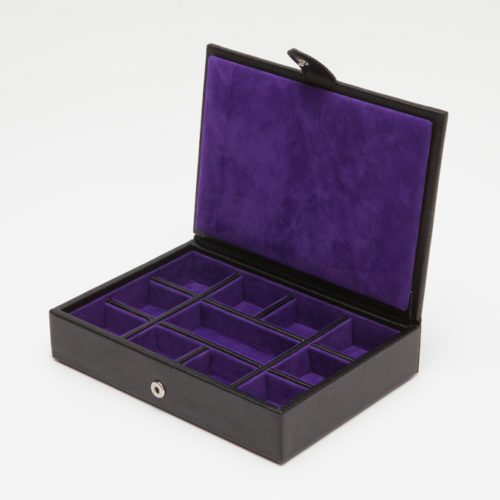 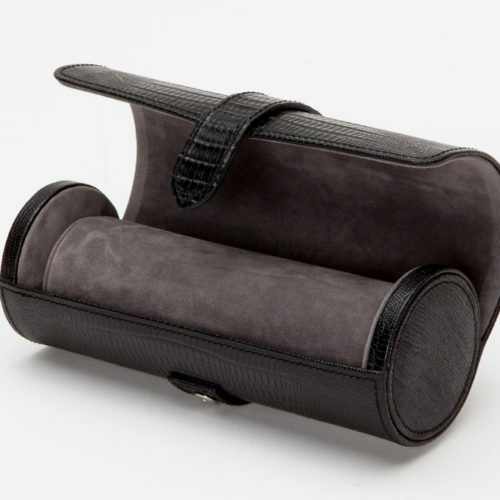 Includes grey ultrasuede lining and 5 card compartments. 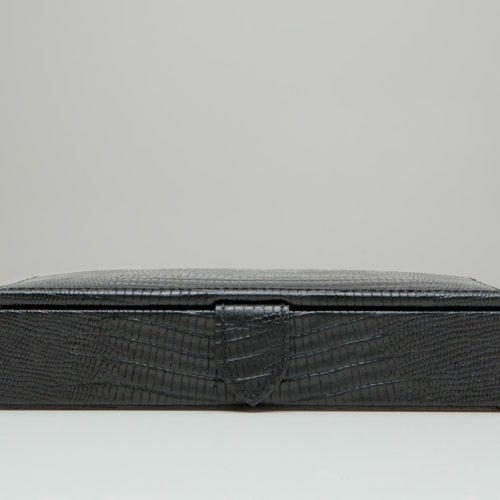 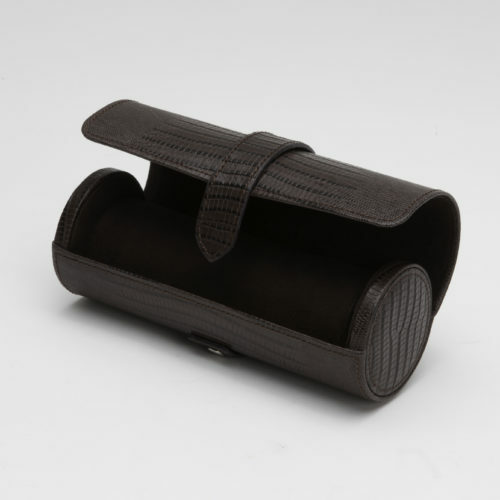 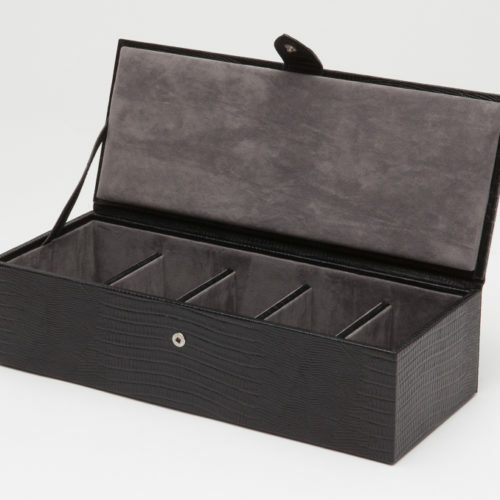 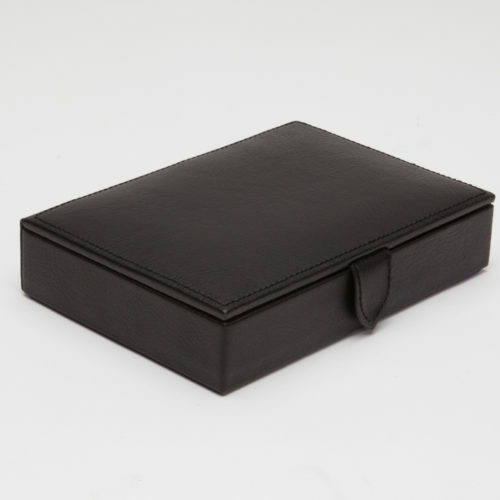 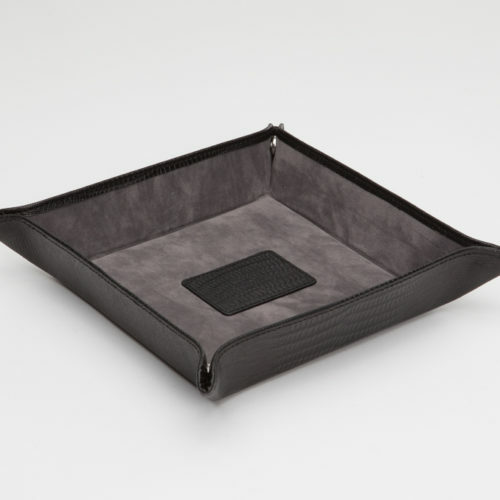 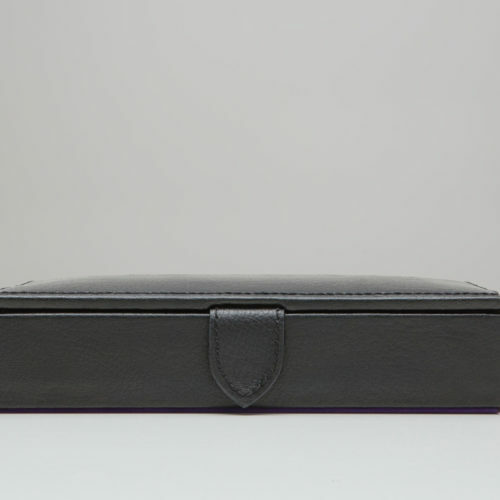 The Blake coin tray, in black pebble leather, incorporates a classic gentleman’s office or bedroom necessity with a bit of flair. 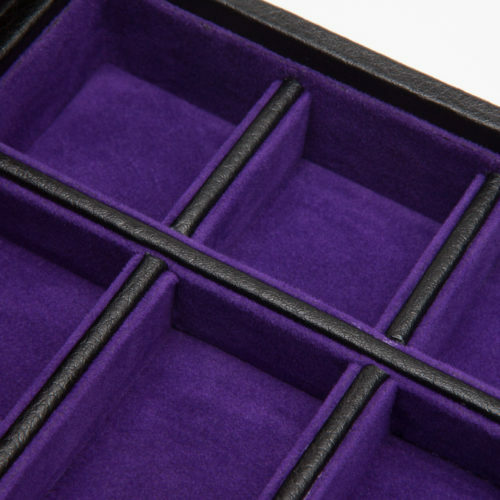 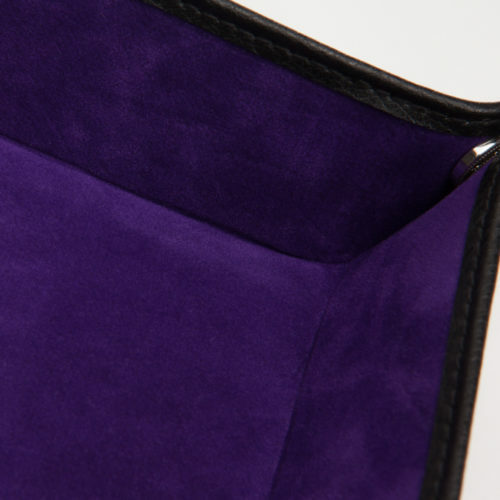 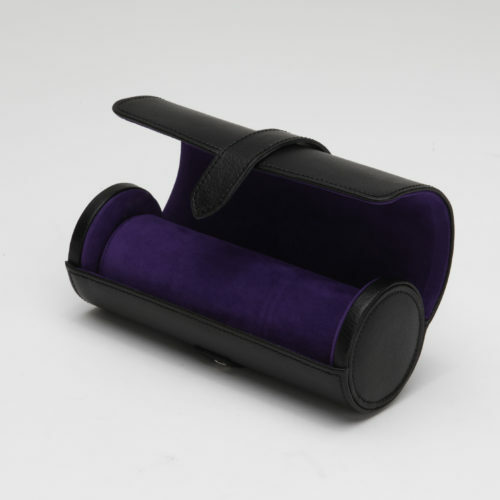 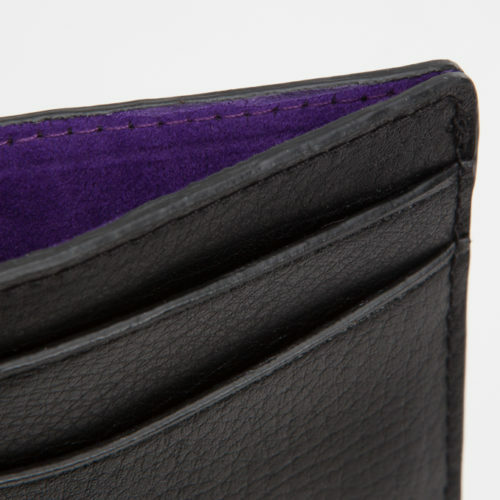 Includes purple ultrasuede lining and snap closure. 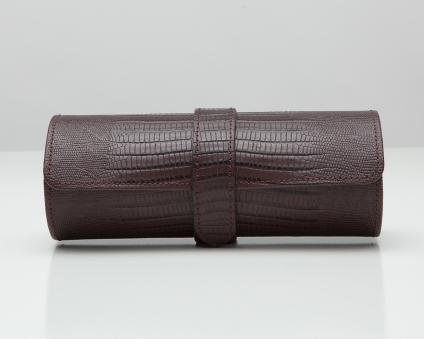 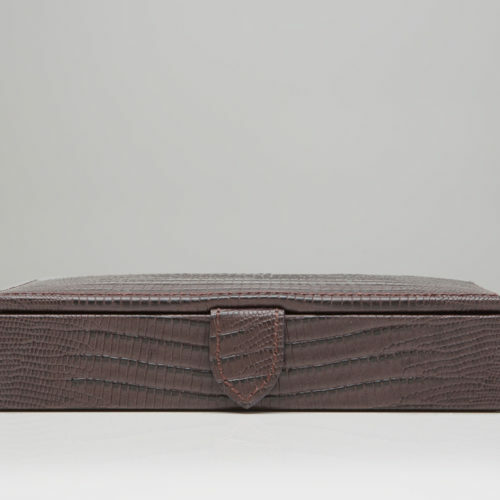 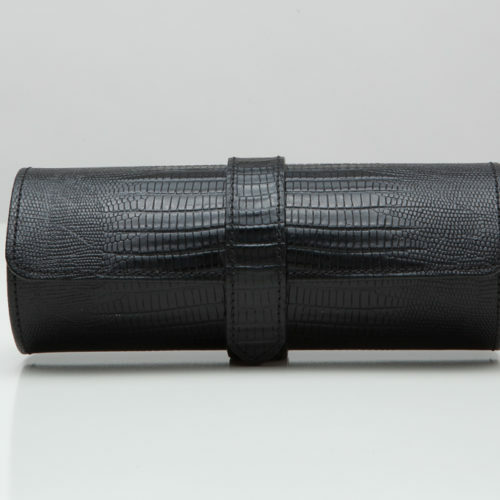 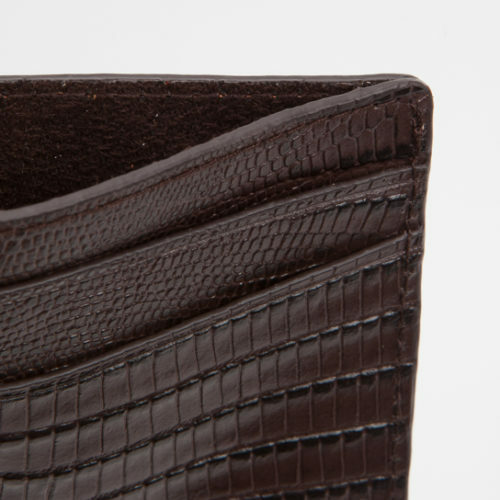 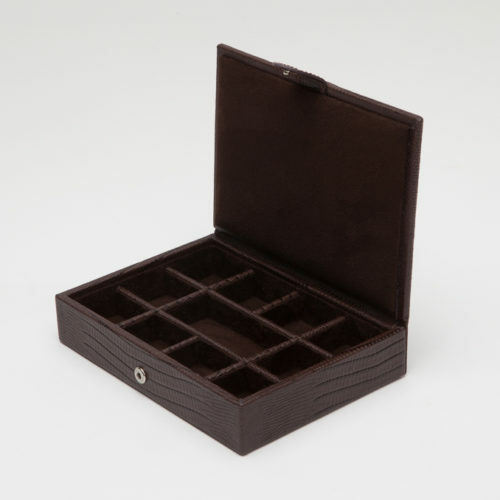 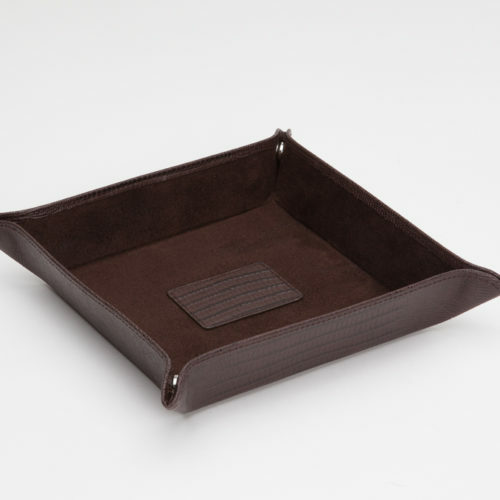 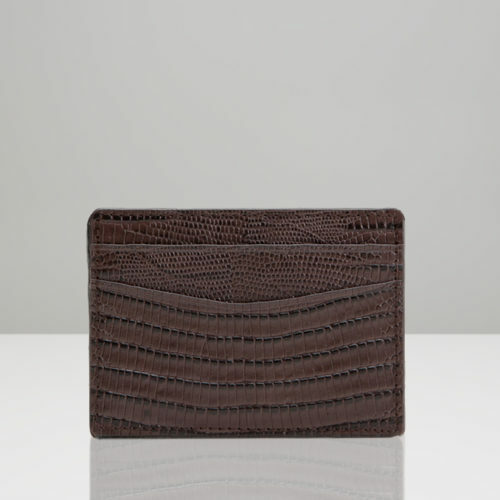 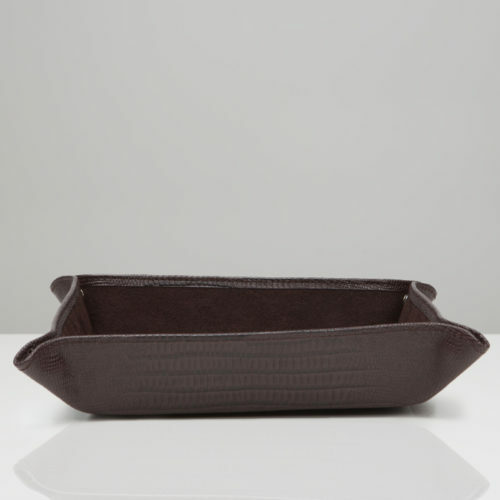 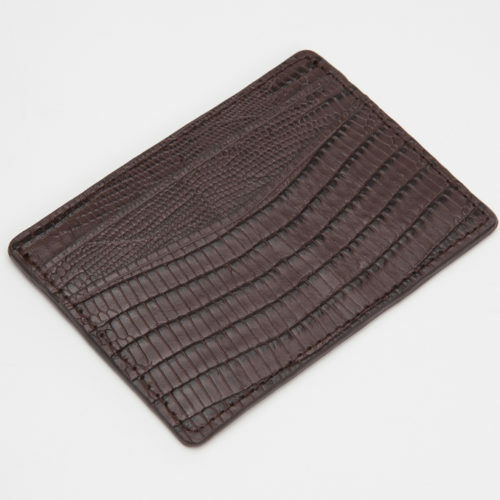 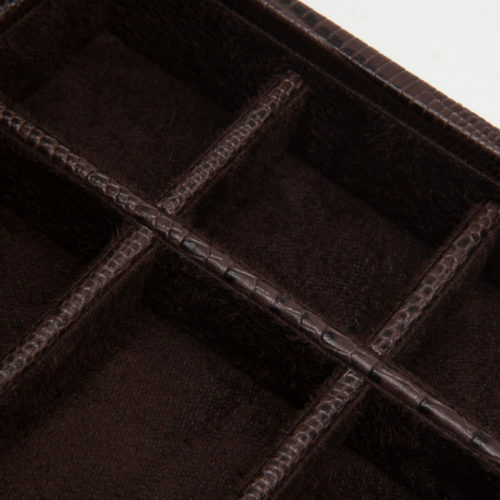 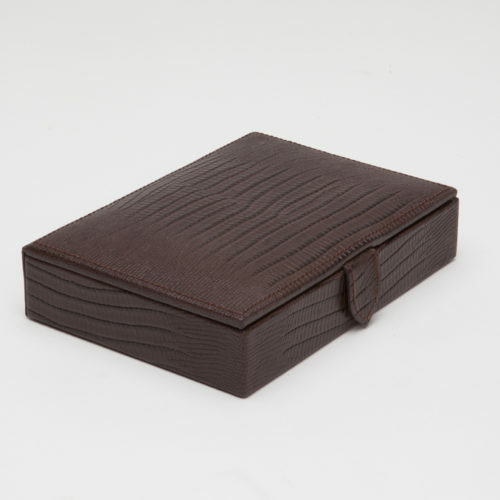 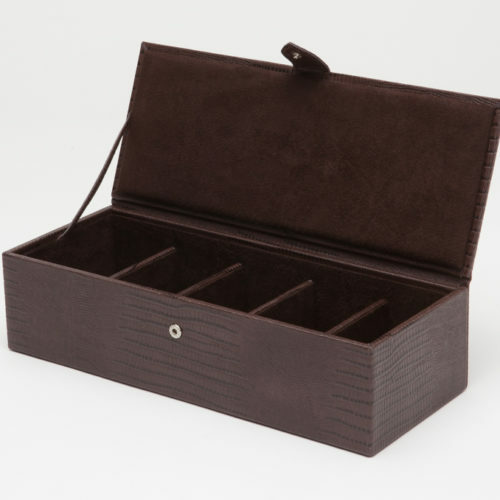 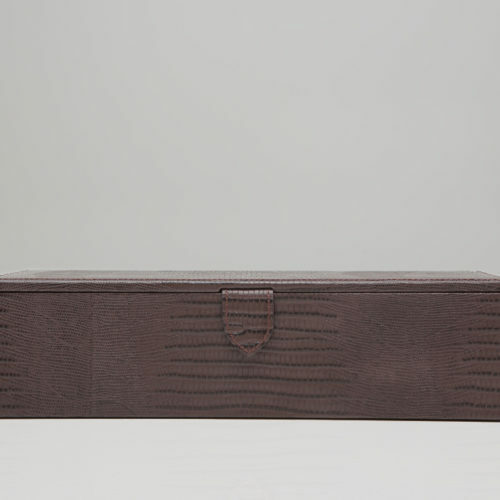 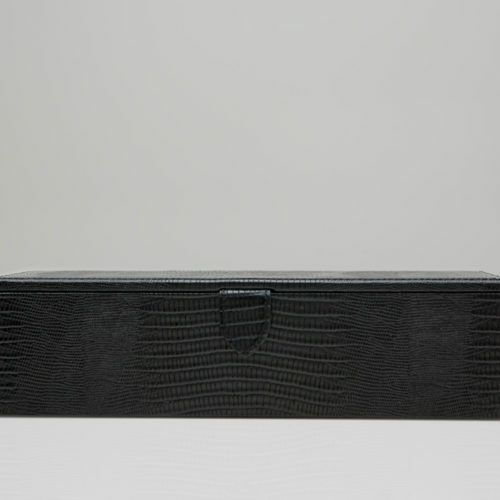 The Blake coin tray, in brown Teju lizard embossed leather, incorporates a classic gentleman’s necessity office or bedroom with a bit of flair. 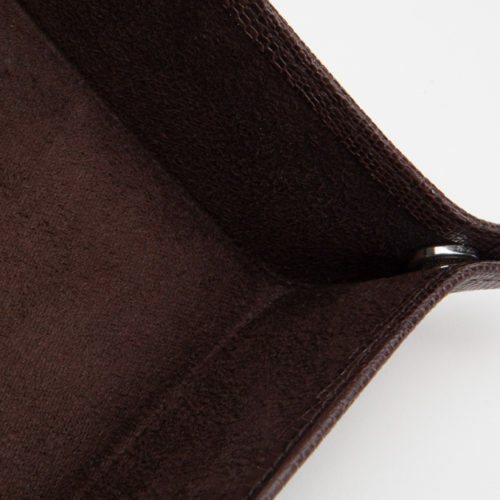 Includes brown ultrasuede lining and snap closure.